Pro Landscaping is pleased to offer a wide range of high quality outdoor maintenance services and landscaping in Brampton. Our years of experience combined with our commitment to excellence in exteriors make us the #1 choice for Brampton landscaping services. Creating a beautiful outdoor oasis is so much more than making sure the grass is trimmed. 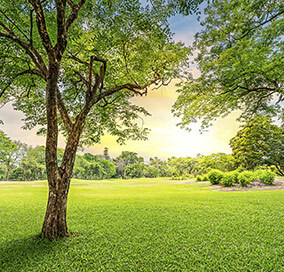 Our team of highly skilled project consultants are happy to provide expertise on hardscaping, sod and tree maintenance, as well as garden design. Although there are seemingly endless options for landscapers, Brampton homeowners can rest assured knowing that Pro Landscaping makes client satisfaction the utmost priority. Our attention to detail and our commitment to beautiful design set us apart from our competitors, and we know that our past clients would agree. When it comes to home exterior design and landscaping, Brampton homeowners can rely on Pro Landscaping to work with them every step of the way to create a stunning custom landscape. Whether you’re looking to redesign your garden, or you want to create an intricate custom stone walkway, our team of experts is here to help.